A Civil War Era Submarine, And The 137-Year-Old Mystery Behind It. 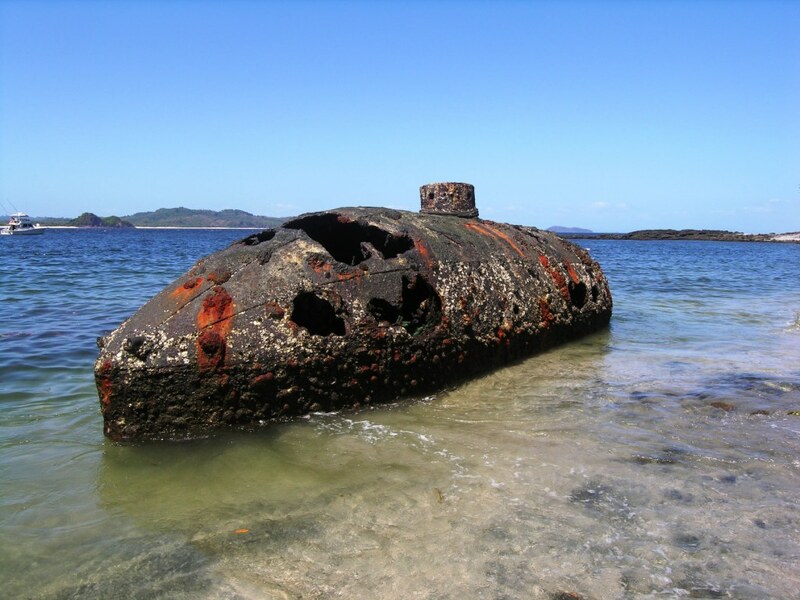 In 2001, marine archaeologist Jim Delgado was on a cruise ship near the uninhabited island of San Telmo, in the Pearl Archipelago in Panama, when he heard the tale of a shipwrecked WWII submarine from Japan that was nearby. Naturally intrigued by such a story, Delgado set out to investigate; but when he first saw the wreckage, he knew that the submarine was not Japanese, and that it was much older than WWII. “I knew that it had a story to tell,” he said. And boy was he right — after nearly two years of trying to identify the sub, a colleague sent Delgado a blueprint from a 1902 scientific journal that was identical to the wrecked submarine. The blueprint was signed by a Julius H. Kroehl, and dated back to 1864. Now hot on the trail of this sub’s mysterious history, Delgado discovered a New York Times article from 1866 detailing a long-forgotten event that occurred on a New York river. A German-American engineer by the name of Julius Kroehl had invented and successfully tested his newest invention: a diving boat called Sub Marine Explorer. This was the first submarine to dive underwater, cruise around (for more than an hour and a half), and resurface. Delgado was certain that the wrecked submarine he found in Panama was the same submarine Kroehl tested in New York in 1866. But what would that submarine be doing rusted-out on a beach in Panama? It turns out Kroehl was the chief engineer and a partner in the Pacific Pearl Company. After the successful demonstration in New York, the sub was shipped down to Panama to collect pearls. Upon its arrival, Kroehl began several trial runs in the sub that lasted for weeks. Unfortunately, this is where the story takes a tragic turn. After Kroehl’s death, the Explorer continued to harvest pearls off the coast of Panama, with tragic (albeit lucrative) results. A 1869 story in the New York Times detailed a successful dive that yielded 10.5 tons of oysters and pearls worth $2,000. However, members of the diving crew had all “succumbed to fever.” The sub was then taken to a bay, where it sat until Delgado found it more than 130 years later. You can read more about the fascinating story behind the Sub Marine Explorer in this detailed article from Spiegel Online.